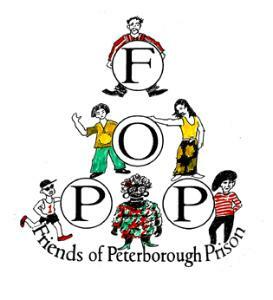 Friends of Peterborough Prison (FOPP) aims to provide support to the friends and families of prisoners by undertaking appropriate activities for their benefit. This includes the recruitment and training of volunteers to work across various departments and activities. The Friends consists of a Board of Directors, a paid volunteer co-ordinator and paid tea bar assistant and a group of volunteers from the community.